Prime is a local exterior plastering business offering premium solid plastering solutions. Our operating tight-knit teams of experienced solid plasterers throughout the Christchurch, Canterbury and Wellington regions. We are licensed suppliers of a wide range of leading Proprietary Plaster Cladding Systems such as Rockcote, Equus, Masons and Specialized. We do the entire job from start to finish. From the supply of the exterior cladding, to the installation, the finishing and the painting, we do it all. Prime exterior plastering that’s done right lasts longer and protects better than any other surface in the building industry. We can plaster over a wide range of substrates including brick, stucco, polystyrene, aerated concrete, concrete block, summerhill stone, historic facades and more. From patios to stairwells, from barbeques to swimming pools, from squash courts to building exteriors our promise is to supply and apply the best plaster finishes that money can buy. Solid exterior plastering is perfect for New Zealand conditions sealing the surface to stop any unwanted moisture from seeping in. Solid plaster also insulates quite naturally after setting, it is durable and soundproof and easily withstands minor damage. Above all it is totally fire resistant. As highly experienced solid plasterers we also specialise in providing traditionally mixed sand and cement and applying it as float-finished solid plasterwork over various substrate surfaces. On the other hand we can provide the most innovative textured finishes that the industry can offer such as innovative solid plaster cladding systems. Either way we provide you with that timeless high-quality permanent finish that only solid plaster can provide for your property. 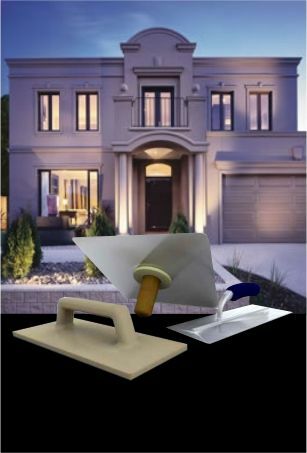 We also provide professionally sprayed plaster directly only to your walls and can apply brilliant stucco based finishes involving multiple coats using state-of-the-art systems such as preparing a StuccoRite base then utilising additional fibre meshing to professionally finish and earthquake proof your exterior walls. We also repair exterior solid plaster damage and will always match your existing plasterwork to perfection. We also specialise in appropriately repairing detailed plaster cornices, plaster fire surrounds and exterior facades. © Prime Plastering 2015. All Rights Reserved.